The CHS produces a wide variety of educational publications and videos aimed at patients and their families, health care providers as well as the general population. Please choose a category above to access the documents for downloading or click request a publication to place an order (within Canada). Thank you! The CHS wallet travel card contains information about how to access care and treatment when away from home. Among other things, and especially to help globetrotters, the wallet card contains 16 key phrases in English, French and Spanish that can be used in an emergency situation. 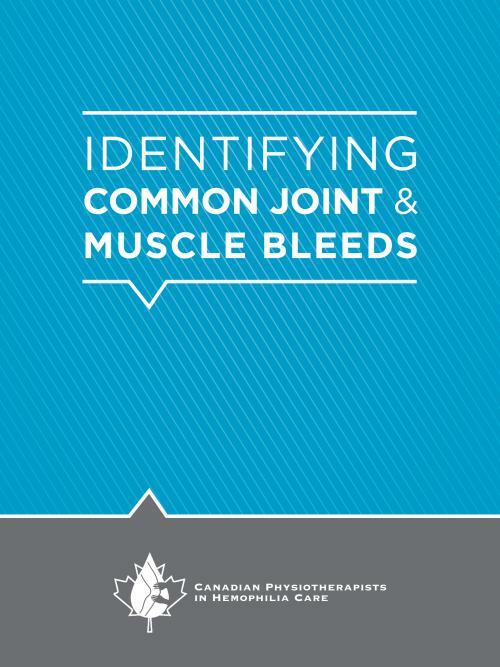 An information booklet designed to help people living with bleeding disorders identify common joint and muscle bleeds in their earliest stages, so that proper treatment can begin as soon as possible. It is written to help people of all ages perform a self-assessment and to help parents assess their children. Developed by the Canadian Physiotherapists in Hemophilia Care (CPHC). 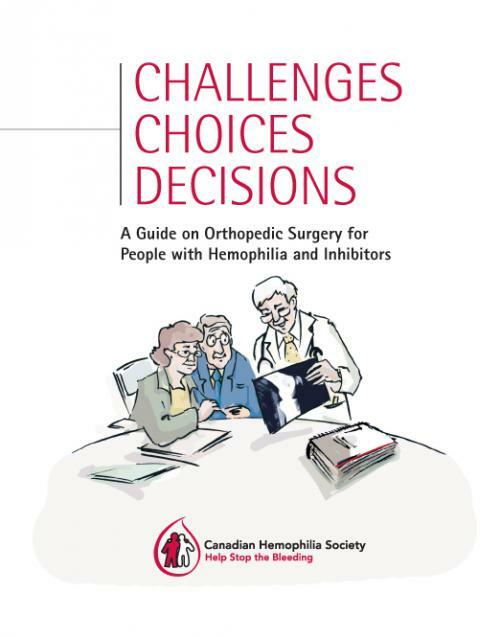 This educational resource, has been developed as a guide to help hemophilia patients, not affected by an inhibitor, and their families understand what is involved in orthopedic surgery. 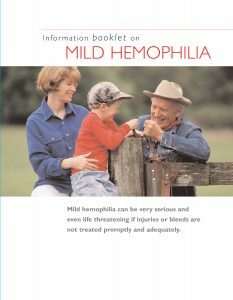 It has been adapted from the original booklet published in 2008 for people with hemophilia and inhibitors. Available in PDF only. Until fairly recently, the risk of uncontrolled bleeding has prohibited most surgeries for patients with inhibitors. In the past decade, the availability of bypassing agents to manage bleeding during surgery has allowed procedures to be performed that previously were not considered possible. 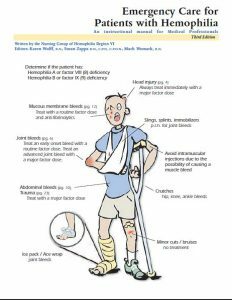 This new educational resource was developed as a guide to help hemophilia patients and their families understand what is involved in orthopedic surgery in the presence of inhibitors. People with bleeding disorders have the same kinds of dental problems as other people. Regular dental checkups and good oral hygiene can help reduce mouth bleeding and prevent the need for major dental work. When dental problems occur, however, treatment may require more planning. This booklet includes basic guidelines on how to recognize and cope with dental problems. 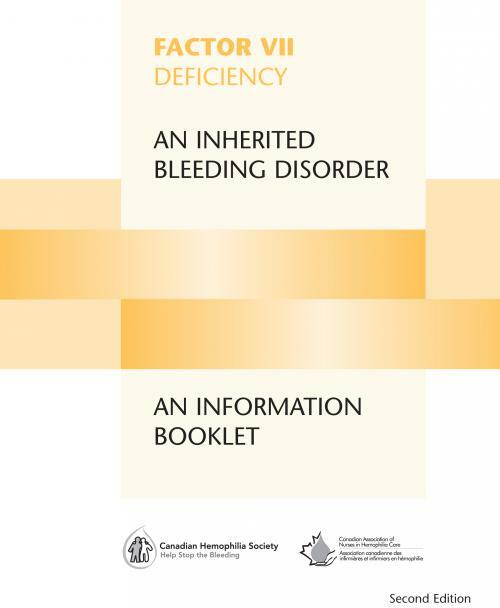 Developed by members of the Canadian Association of Nurses in Hemophilia Care, this information serves as guidelines only and is designed to enhance the care of bleeding disorder patients. Each Canadian bleeding disorder treatment centre will have specific treatment recommendations for the dental care of their patients. 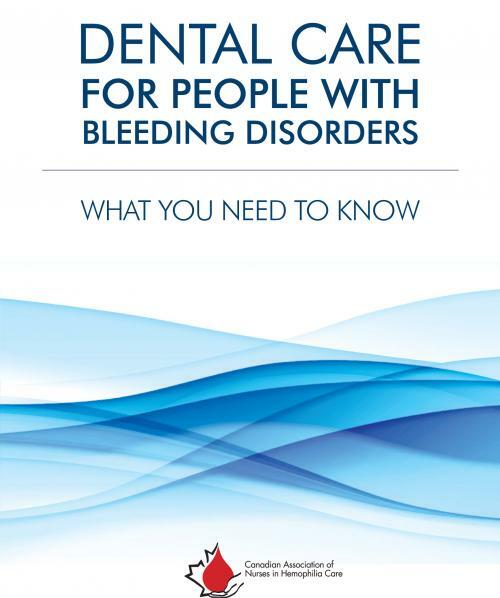 This information sheet was produced by the Canadian Association of Nurses in Hemophilia Care to guide dentists in the care of patients with bleeding disorders. 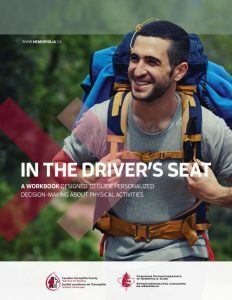 The Passport to well-being program provides people with bleeding disorders, at all stages of their lives, with information, skills and strategies to enable them to maximize their quality of life. 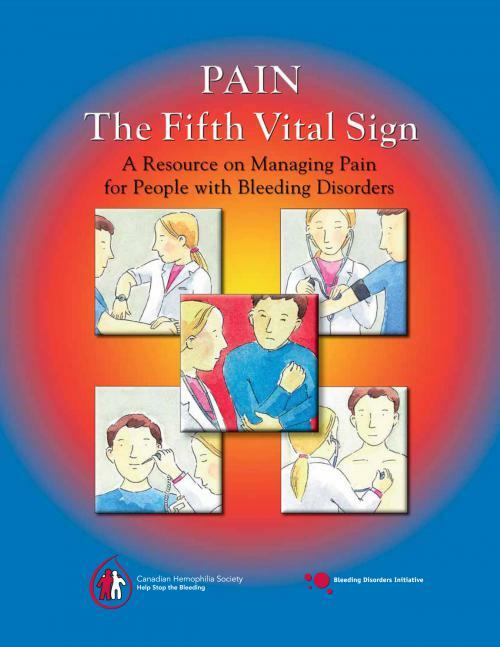 Raising awareness of ways to manage the pain that is so common to people with bleeding disorders. Helping people with bleeding disorders prepare for visits to the Emergency Department. 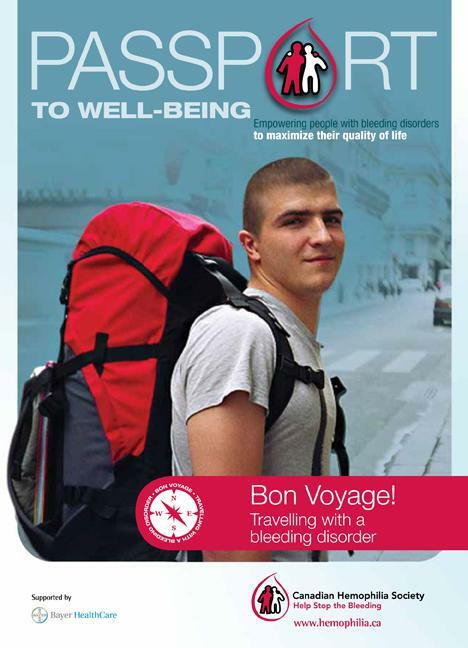 Helping people with bleeding disorders reduce the risks of travel so they can enjoy their adventure to its fullest. 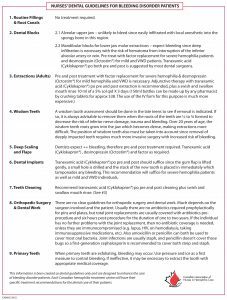 The FactorFirst and TreatFirst cards were developed as a resource for the individual to carry in his/her wallet for presentation to Emergency Department staff when accessing emergency care. 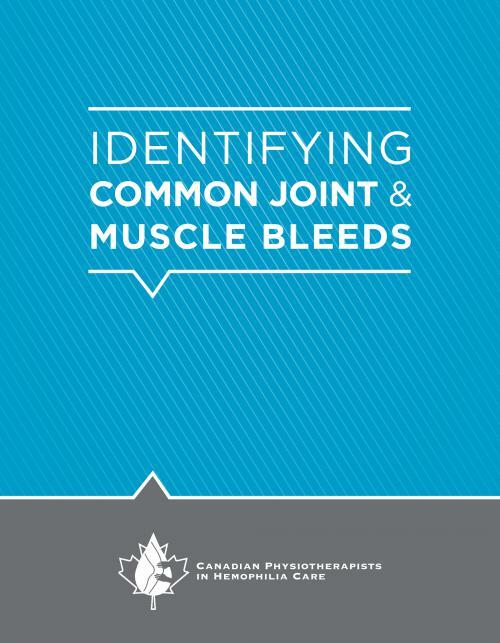 The card contains important patient information including details on diagnosis and treatment guidelines and contact names and phone numbers of the patient’s bleeding disorder treatment centre. Acquired hemophilia has been revised! 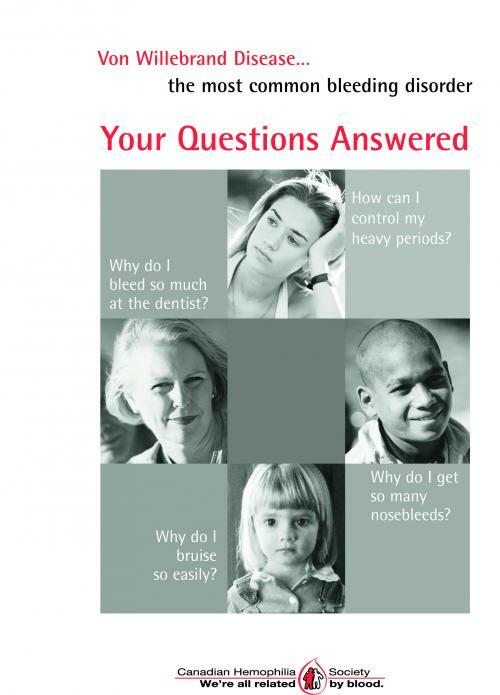 Produced by the Canadian Association of Nurses in Hemophilia Care and the CHS, and transformed from a booklet format, it is now a seven-panel pamphlet with all the key information still available: what is acquired hemophilia, signs and symptoms, available treatments. A 2015 revised version of this simple brochure providing basic information on the uses and administration of DDAVP, Octostim and Octostim Spray. Developed by the Canadian Association of Nurses in Hemophilia Care (CANHC). Published by the Canadian Hemophilia Society. Guidelines on the treatment and management of hemophilia emergencies including recommended dosage and contact information for Hemophilia Treatment Centres in Canada and the United States are available. Educational package designed to help new parents work through the challenges of raising a child with hemophilia. Also include two activity books for children. Developed by a hemophilia nurse coordinator, a mother of two boys with hemophilia, and several youth affected by bleeding disorders from Winnipeg, Manitoba. One of the most popular booklets of the CHS educational material catalogue has just been revised. Different colours, different design, different format, and additional content to improve and enhance the already highly informative text. The booklet was developed with the efforts, knowledge and expertise of the Atlantic Hemophilia Nurses group and was made possible through unrestricted educational grants provided by Bayer. As with the previous version, a DVD is available to accompany the booklet as a complementary resource. 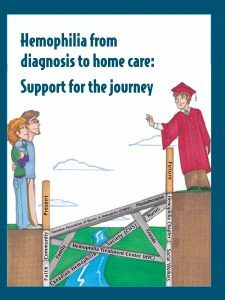 This Home Treatment Guide was developed by hemophilia nurses working with patient and families affected by hemophilia. 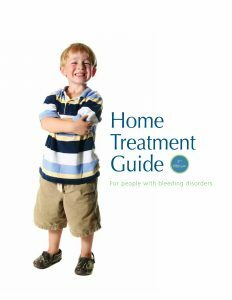 The guidebook is designed to assist patients in the safe home treatment of bleeding disorders by providing basic information in an easy- to-use format. Mild hemophilia can be very serious and even life-threatening if injuries or bleeds are not treated promptly and adequately. 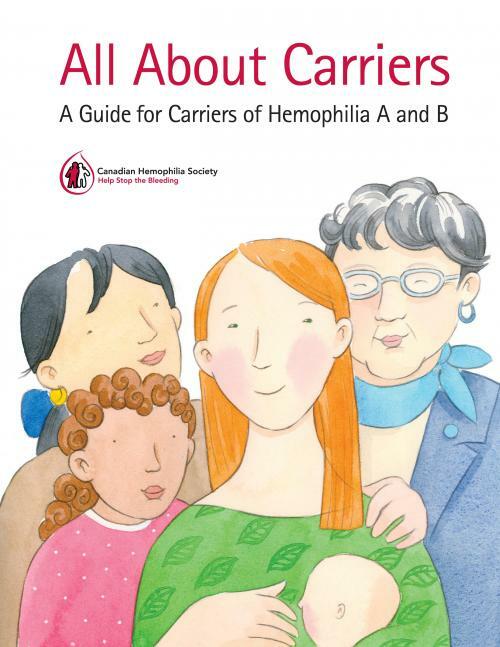 This information booklet for people living with mild hemophilia and their families was developed by the Atlantic Hemophilia Nurses Group of the Canadian Association of Nurses in Hemophilia Care (CANHC). 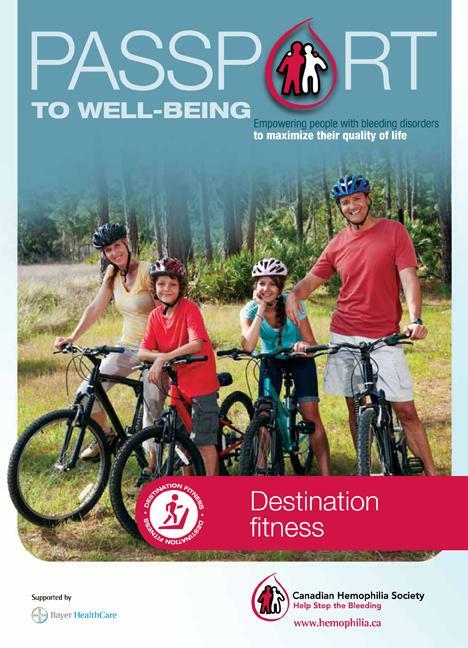 Published by Bayer HealthCare. This workbook was developed by members of the Canadian Physiotherapists in Hemophilia Care (CPHC) to guide adults with bleeding disorders through an organized and thoughtful approach to decision-making around physical activities. A revised version of this simple brochure providing basic information on the uses and administration of this drug. Developed by the Canadian Association of Nurses in Hemophilia Care (CANHC). 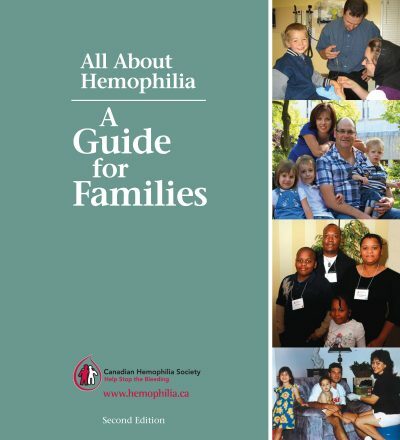 Published by the Canadian Hemophilia Society. 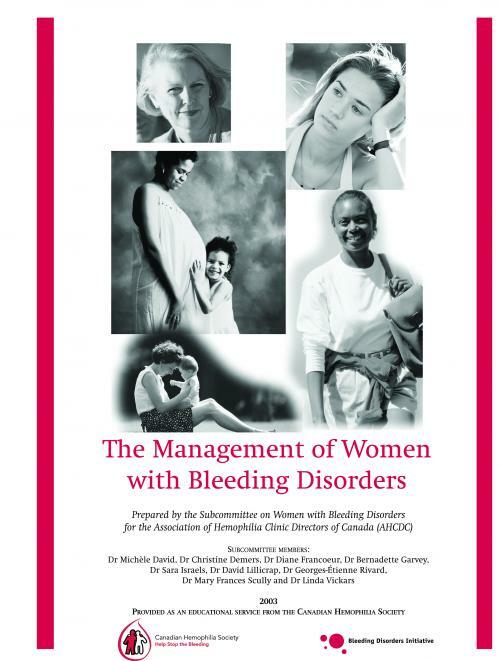 SOGC Clinical Practice Guidelines on the Gynaecological and Obstetric Management of Women with Inherited Bleeding Disorders were published in the July, 2005 issue of the Journal of Obstetrics and Gynaecology Canada. 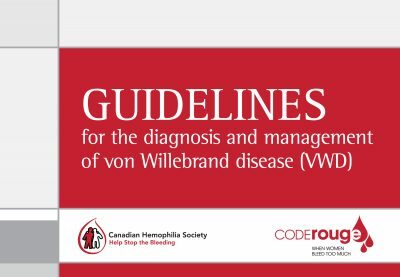 Publication of these guidelines was one of the key recommendations arising from the 2003 1st Canadian State of the Art Conference on von Willebrand Disease organized by the Canadian Hemophilia Society. The CHS would like to acknowledge the authors: Drs. Christine Demers, Michèle David, Christine Derzko and Joanne Douglas whose expertise and efforts made this achievement possible. The guidelines are available in PDF format. This material is under copyright and is accessible for educational purposes only. It cannot be copied or reproduced without approval from The Society of Obstetricians and Gynaecologists of Canada. 4. the management of pregnancy. 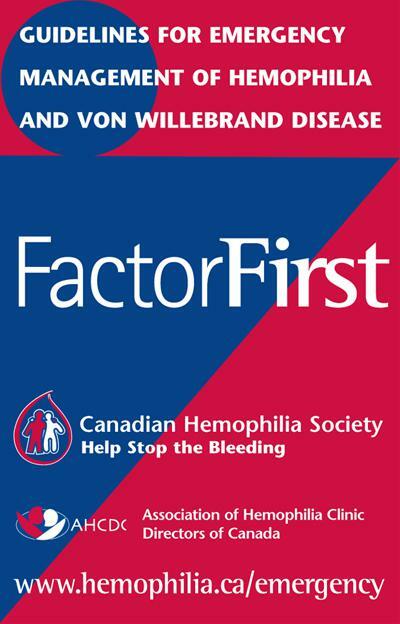 An instructional manual with guidelines on the treatment and management of von Willebrand disease emergencies including recommended dosage and contact information for Hemophilia Treatment Centres in Canada and the United States. A comprehensive guide for carriers of hemophilia A or B. Developed and published by the Canadian Hemophilia Society. An interactive animated video that provides potential pre-teen and teenage carriers with relevant and age appropriate information about what it means to be a carrier of hemophilia A or B is also available. Order a DVD of Me and My Genes! Revised version. Contains practical tips for managing the symptoms of hepatitis C and the side effects of treatment. 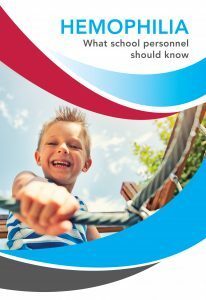 The information in this printable PDF format guide has been revised from a printed guide first published by the Canadian Hemophilia Society in 2003 and updated in partnership with CATIE in 2011. In 2016, information on direct acting antivirals was added. In-depth information on peg-interferon can be found on www.catie.ca . The information in this guide is complemented by many other resources which can be found on the CATIE website at www.catie.ca/en/hepatitis-c.
Information brochure targeted at patients who received tainted blood or blood products and who are registered claimants of the Hepatitis C 1986-1990 Class Actions Settlement. This brochure provides information on accessing treatments for hepatitis C as well as support programs offered by pharmaceutical companies. 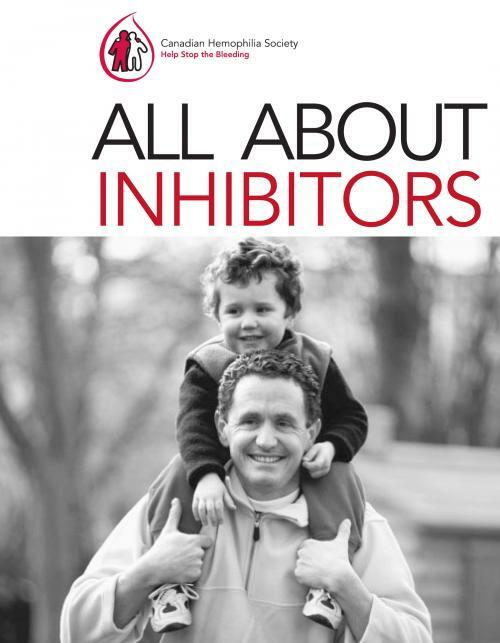 A comprehensive guide about inhibitors for affected individuals and their families. Developed and published by the Canadian Hemophilia Society. 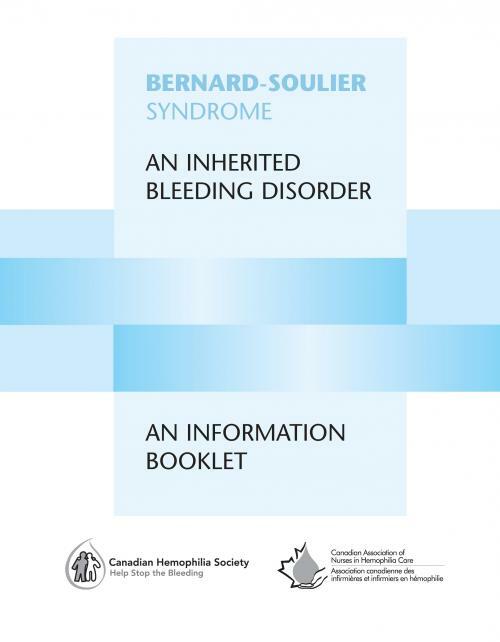 The latest in the series on Rare Factor Deficiencies, this document is a general information booklet about the Bernard Soulier Syndrome for patients, families and healthcare providers. This booklet was developed by the Canadian Association of Nurses in Hemophilia Care (CANHC) and published by the Canadian Hemophilia Society. SECOND EDITION – A general information booklet about Glanzmann thrombasthenia for patients, families and health care providers. Developed by the Canadian Association of Nurses in Hemophilia Care (CANHC). 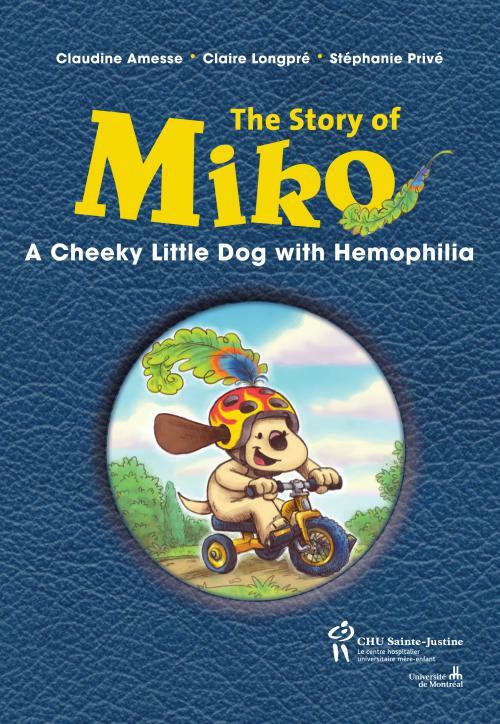 Published by the Canadian Hemophilia Society. An Information Booklet for Patients,Families and Health Care Providers by Sara J. Israels, M.D. and Margaret L. Rand, Ph.D. Factor I (or fibrinogen) deficiency is a very rare inherited disorder with complications that vary with the severity of the disorder. It is not well known, even among health professionals. People affected by this disorder and those close to them have very little written information about it. This booklet therefore seeks to provide information for people trying to cope with this health problem. It explains the causes of the disorder and currently available treatments. Factor II (FII) deficiency (also called hypoprothrombinemia or prothrombin deficiency) is a rare coagulation disorder. People affected by this deficiency and those close to them have very little written information about it. 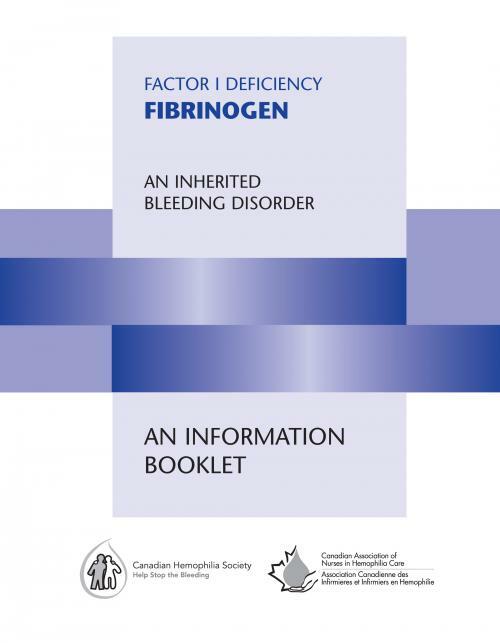 This booklet explains the causes of FII deficiency, its symptoms and available treatments.We hope that this information will help answer your questions. 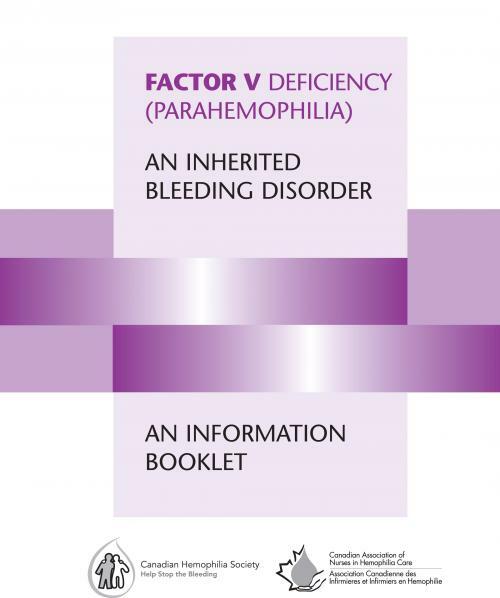 Factor V deficiency, also called parahemophilia or Owren’s disease, is a very rare coagulation disorder. About one person in a million may be affected by this deficiency. Only 150 cases have been identified worldwide to date. 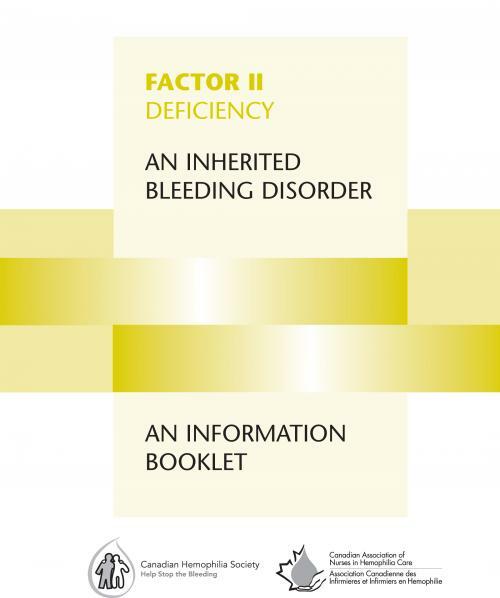 SECOND EDITION – A general information booklet about factor VII deficiency for patients, families and health care providers. Developed by the Canadian Association of Nurses in Hemophilia Care (CANHC). Published by the Canadian Hemophilia Society. 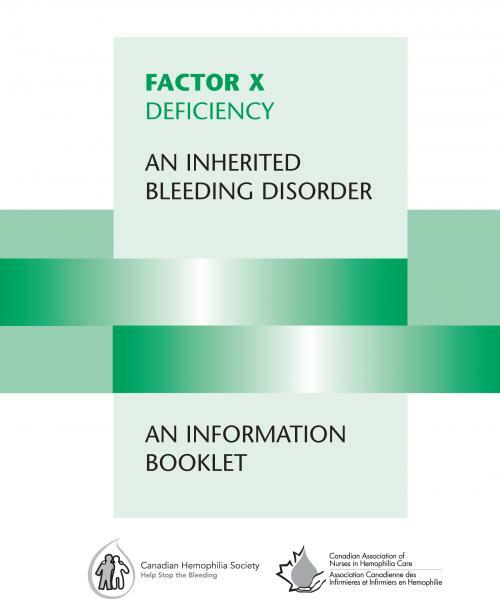 Factor X (pronounced 10) deficiency is a very rare blood coagulation disorder with complications that vary with the severity of the disorder. This deficiency is not well known, even among health professionals. People affected by this deficiency and those close to them have very little written information about it. This booklet therefore seeks to provide information for people trying to cope with this health problem. It explains the causes of the deficiency, symptoms, possible complications, and available treatments. 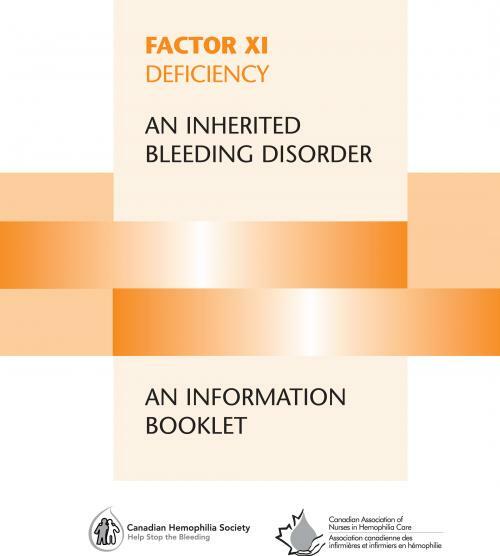 The latest in our series on Factor Deficiencies, this document is a general information booklet about Factor XI Deficiency for patients, families and healthcare providers. 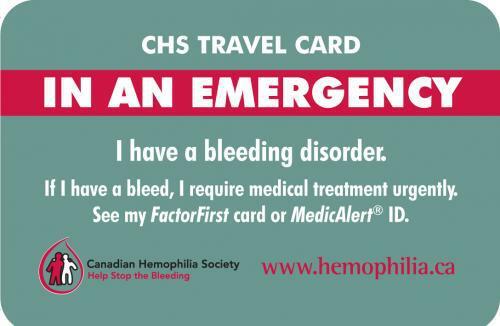 Developed by the Canadian Association of Nurses in Hemophilia Care (CANHC). Published by the Canadian Hemophilia Society. 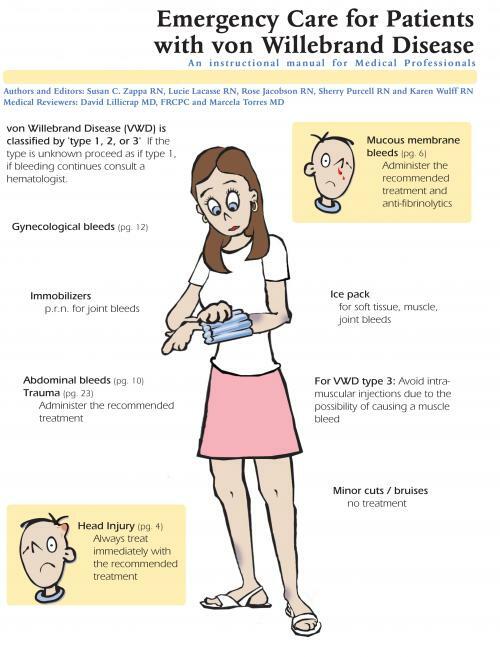 Severe Factor XII deficiency is a very rare condition and is not well known, even among health professionals. The purpose of this booklet is to describe the deficiency with the hope that it will permit those affected to better understand the issues. SECOND EDITION – A general information booklet about factor XIII deficiency for patients, families and health care providers. Developed by the Canadian Association of Nurses in Hemophilia Care (CANHC). 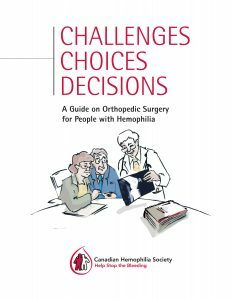 Published by the Canadian Hemophilia Society. In 2004, the Canadian Hemophilia Society, with the support of Baxter BioScience initiated a new program aimed at empowering people with bleeding disorders, at all stages of their lives, to maximize their quality of life. Now, in 2013, with the participation of a new sponsor for the program, Bayer HealthCare, the CHS is proud to present a revised version of the components of the program. 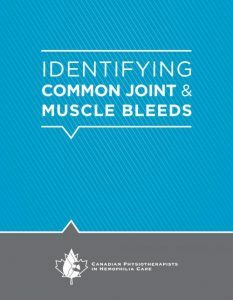 Key messages relating to these themes are communicated through educational booklets, newsletters and workshops targeted at children, adults and caregivers of people with bleeding disorders. Starting childcare is a major step for families living with a bleeding disorder. 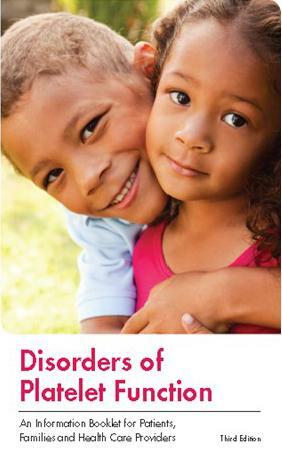 For both parents and children, the transition is an important part of learning how to live with a bleeding disorder. However, making decisions about childcare and finding the right caregiver can be a challenging process. 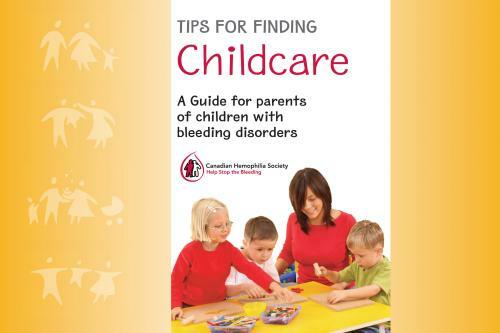 This booklet provides information to help parents of children with bleeding disorders assess their childcare needs and suitable options, with steps for finding the right caregiver. The booklet also outlines basic medical, health and safety information that caregivers need to know. Using a collaborative approach, the Atlantic Hemophilia Nurses group, a family and a very talented artist created a storybook for children with bleeding disorders. 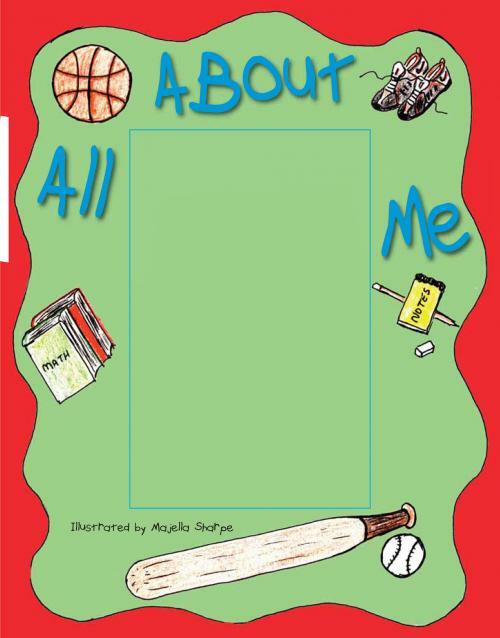 All About Me is designed to provide young school-age children with bleeding disorders the opportunity to share information about his or her medical condition with his/her classmates. 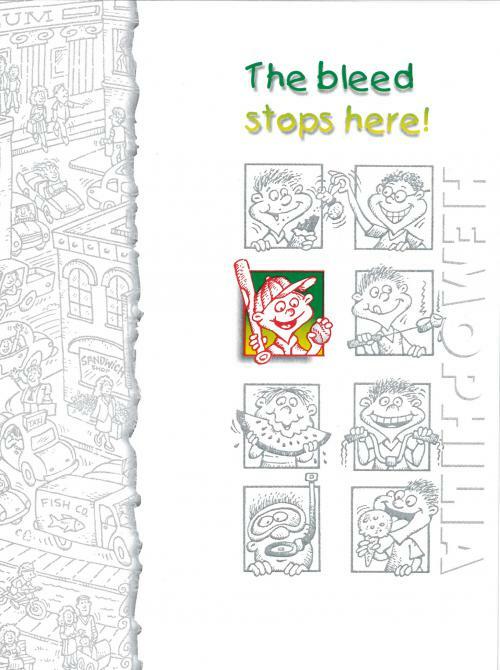 An activity book for children with hemophilia and other inherited bleeding disorders. Developed by the Canadian Association of Nurses in Hemophilia Care (CANHC). Published by the Canadian Hemophilia Society. Available only in hard copy. Miko is a picture book developed by a team from CHU Sainte-Justine in Montreal that enables parents to introduce simple treatment terms and explanations that children will understand thanks to pictorial support. This book may also be used in a variety of different ways by health care teams at hemophilia treatment centres and enables professionals to help children aged 0 to 5 to familiarize themselves with more painful forms of treatment while gaining a better understanding of the disease. 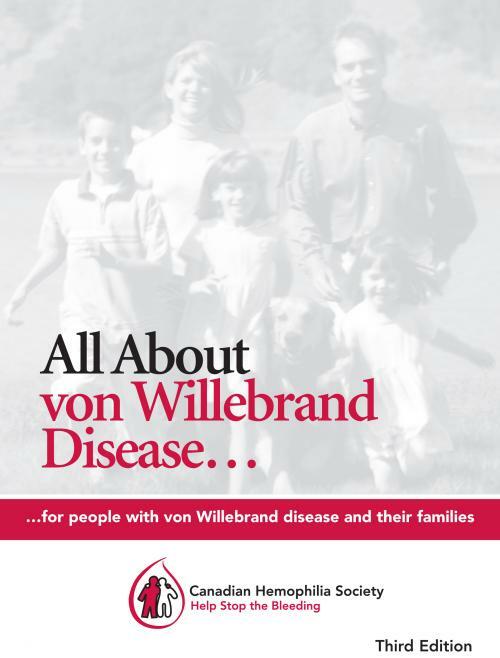 A comprehensive guide for people with von Willebrand disease and their families. 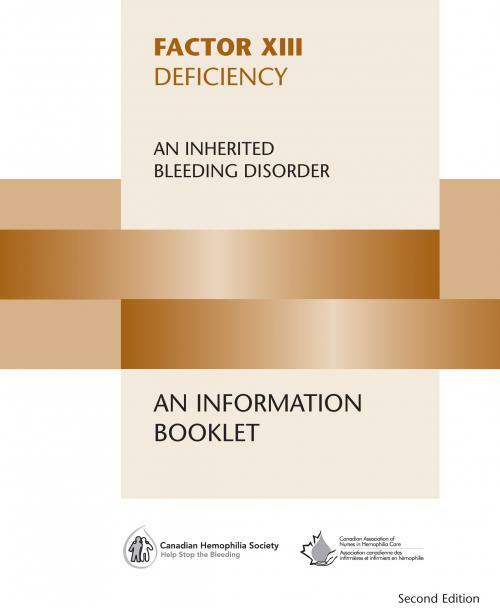 Developed and published by the Canadian Hemophilia Society and revised in 2011. A general information booklet about the symptoms, diagnosis, and treatment of VWD. Developed and published by the Canadian Hemophilia Society. 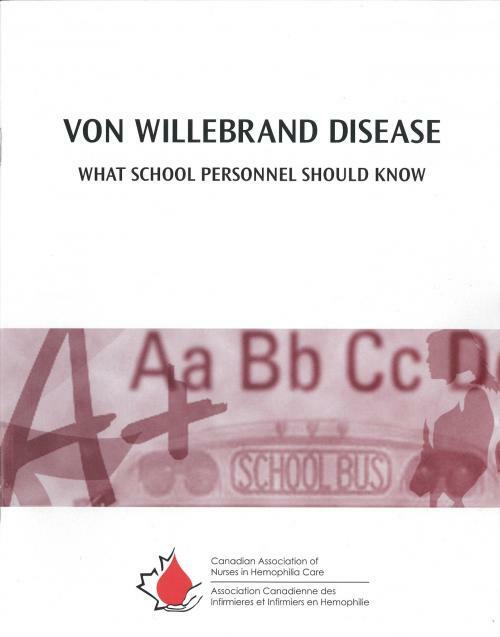 An information booklet about von Willebrand Disease for teachers and other school personnel. Developed by the Atlantic Hemophilia Nursing Group of the Canadian Association of Nurses in Hemophilia Care (CANHC). Pocket-sized booklet featuring among other tools an algorithm leading from an initial clinical assessment, through initial lab and VWD tests, to confirmatory VWD tests. 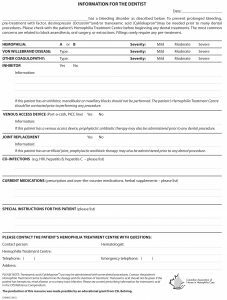 It also features a detailed scored bleeding questionnaire based on symptoms to help with diagnosis as well as a table describing the common laboratory results for each type of VWD.